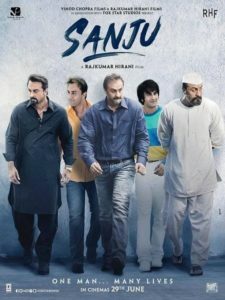 With Rajkumar Hirani coupled with presence of Ranbir Kapoor in a lifetime role, I predicted that Sanju was all set to take an opening in excess of 30 crore. As a matter of fact there was also a chance that the numbers could well come close to the 35 crore mark since the release was wide [4000 screens], plus the hype and the brand was too strong to be ignored. This is exactly what happened as not just did the film comfortably go past the 30 crore mark, it actually scored a massive 34.75 crore. This is simply tremendous since it is the best start for any language film in India so far. While Bollywood releases like Race 3 [29.17 crore] and Baaghi 2 [25.10 crore] have been comfortably left behind, even Avengers – Infinity War numbers of 31.30 crore are now history. This is now also the best start ever for a Ranbir Kapoor starrer as the collections have far exceeded his Besharam [21.56 crore] and Yeh Jawaani Hai Deewani [19.45 crore]. For Rajkumar Hiani and Vidhu Vinod Chopra too, the opening is far bigger than their PK [27 crore]. Fox Star Studios have scored bigger though with Prem Ratan Dhan Payo [40.35 crore] but then that was a Diwali release and also saw the coming together of Salman Khan and Sooraj Barjatya. Basically, Sanju has taken a record start and though it was clear after watching the promo that the film would take a flyer of a beginning, what has actually happened on Friday is beyond expectations. This has also ensured that a weekend number of over 110 crore is now a given and what would be closely observed is that where would be it go from here. 15 queries in 0.505 seconds.